Here at Monte Cruz Ranch & Outfitters, we live and breathe hunting. With the help of our expert hunting guides, we will give you maximum exposure to whitetail deer, exotic game, turkey, wingshooting and more. Whether you are a rifle hunter, bow hunter or wingshooter, we have the game and are committed to providing a hunting experience to last a lifetime. Monte Cruz Ranch is located deep in South West Texas at the corners of Maverick, Zavala, Uvalde, and Kinney Counties, in Uvalde, Texas. Operating year-round, and with a world-class Spanish-style Texas hunting lodge, with space available for up to 28, Monte Cruz Ranch provides anywhere from single person hunts to large corporate trips or family retreats. Monte Cruz Ranch is the premiere hunting ranch you’ve been looking for given its prime natural habitat and intense management practices. 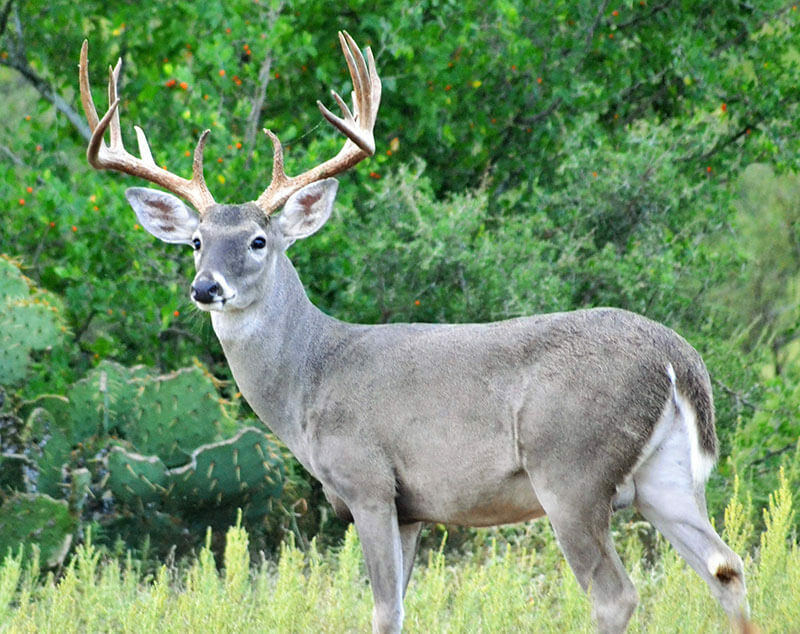 Monte Cruz Ranch distinguishes itself among Texas deer hunting ranches for its convenience and wide range of amenities. With first class accommodations and an experienced in-house cook, you will be sure to feel at home while experiencing the great South Texas outdoors. We know that no two hunters are the same, so we have created hunting packages for you to choose from and are happy to work with our clients to customize a package that works best with your budget and schedule. Monte Cruz Ranch offers Whitetail Deer Hunting, Exotic Hunting, Dove Hunting, Quail Hunting, Turkey Hunting and Predator Hunts. Whether you are interested in a single person hunt, small or large group hunt there is something for everyone, at every budget. Please complete our contact form and let us know what kind of hunting experience we can create for you.